William Nylander watch carries on with just two weeks to go until the December 1st cutoff for RFAs to sign in the NHL. The list of teams believed to have interest in Nylander: Florida, Minnesota, Carolina, Los Angeles, Philadelphia and the New York Rangers. The asking price appears to be an established top 4 defenseman and top 9 forward. The Wild and Hurricanes appear to have the most interest right now, but it's still a bit of a guessing game. Both of those teams appear to be offering up defensemen - Brett Pesce or Justin Faulk in Carolina (though the Leafs may prefer Jacob Slavin to either), while some are speculating Jonas Brodin or Matt Dumba could be on the Leafs' wishlist. The Kings have a lot of players on the block, so you could see any combination of Alec Martinez, Jake Muzzin, Tanner Pearson or Tyler Toffoli being offered. While most have suspected the Leafs would want a defenseman as the main piece, that isn't necessarily true. Note: Tanner Pearson has just been traded to the Pittsburgh Penguins for Carl Hagelin. It's not clear as of yet who the Flyers have offered or would offer - as reported already, some have suggested Wayne Simmonds as a piece. Personally, I'm not sure if that's what the Leafs are after. 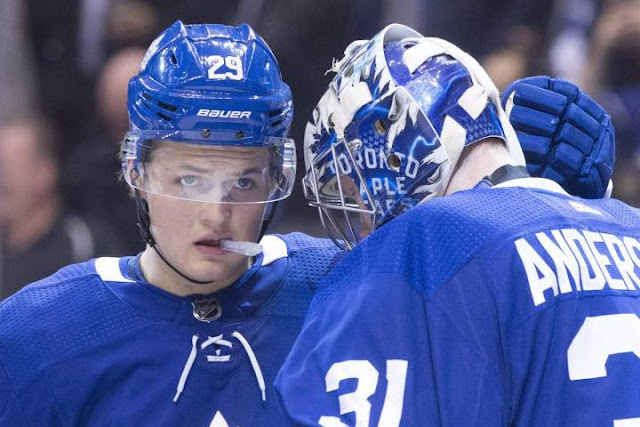 The New York Rangers have been recently linked to Nylander, but they're considered a longshot who might have the cap to overpay the player but not the assets to make it happen. We won't likely see team's cards until closer to the end of the month. And of course, reports suggest the Nylander camp has an ongoing dialogue with the Maple Leafs.